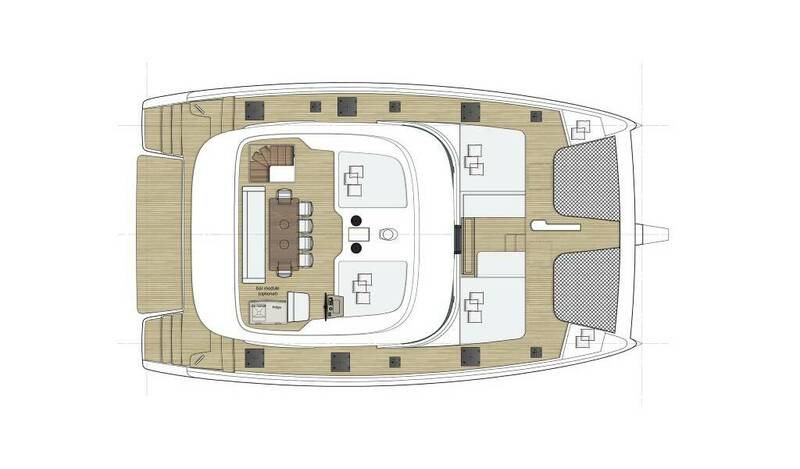 Newly built in 2019, our Sunreef 50 is a marvel of sea-going comfort and fun. 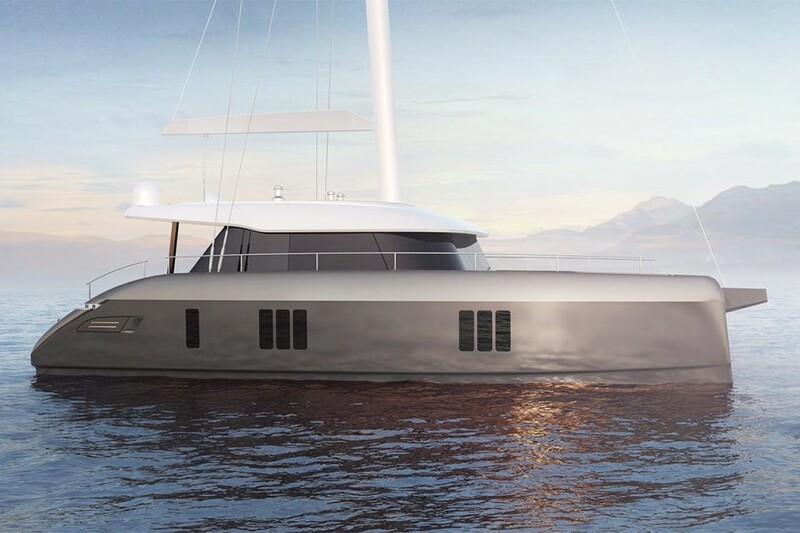 This is a state-of-the-art compact sailing yacht ideal for exclusive sailing getaways and adventures. 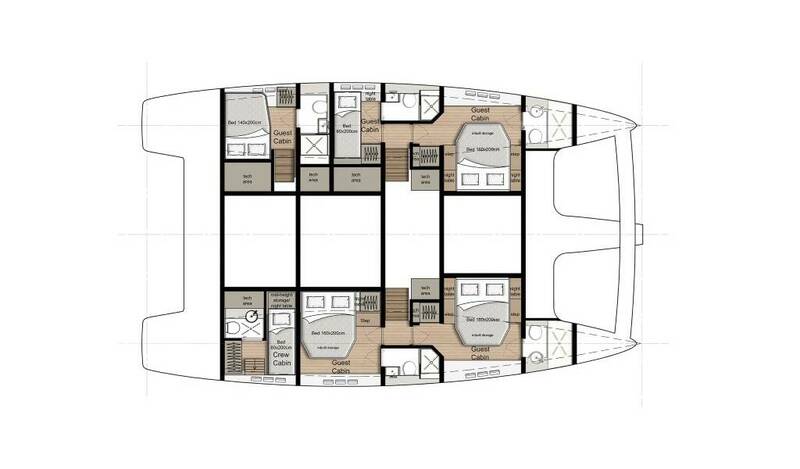 Interior features air conditioning, romantic lighting, sound-proof engine room, and LED television in every cabin. 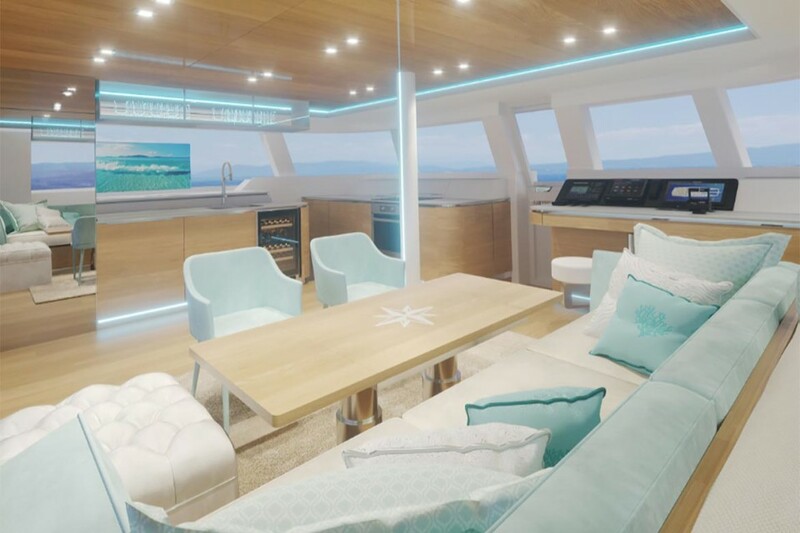 The fly bridge is spacious and comfortable, with room for you and your guests to spread out and enjoy your time at sea, including comfy furniture, sun pads, and fully-equipped wet bar. 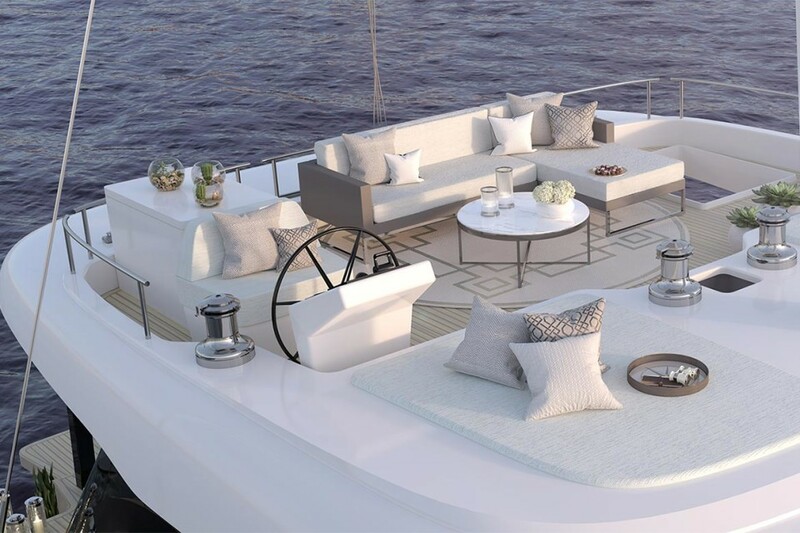 Advanced engine design includes fully electric motors that run silent, as well as battery power to ship systems instead of a noisy generator – enjoy the peacefulness and leisure of the sea! 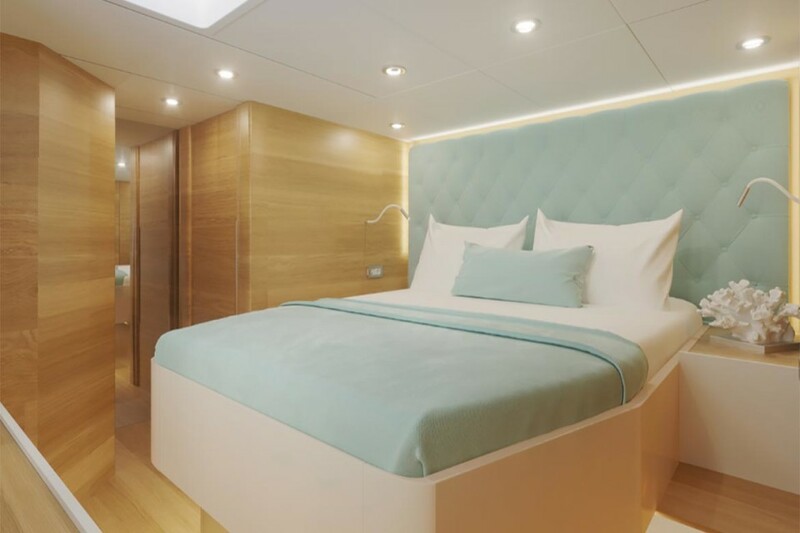 Welcome to the Sunreef 50 Luxury Catamaran "Tiril"
4 staterooms, all furnished with comfy double beds and en suite facilities. 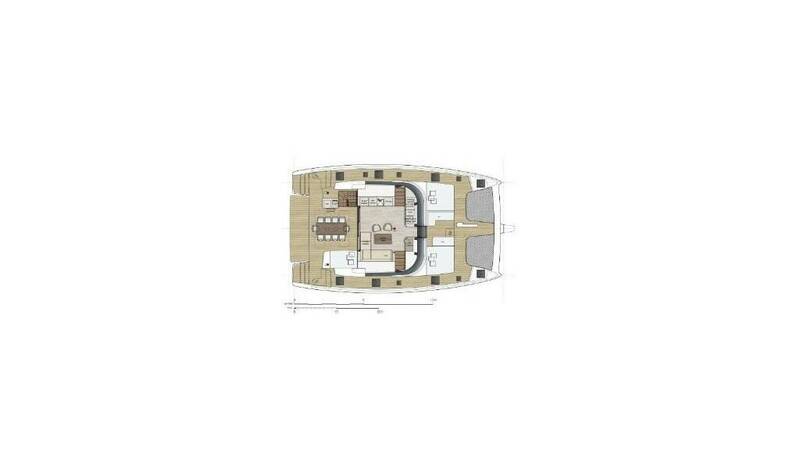 Two extra cabins provide additional room for crew and an extra guest. The bow terrace provides the perfect space for leisure and entertaining, with gorgeous 360-degree views and room for dining and drinks. This is your invitation to come enjoy the splendors of the Adriatic Sea, one of the world's most luxurious and relaxing yacht vacation destinations! Explore the natural beauty and epic history of this fabled region, on a fantastic skippered boat holiday from Navigare Yachting. Luxury Yacht Charter Croatia: There are more than 1000 islands to explore in the Adriatic Sea, along Croatia's gorgeous Dalmatian Coast. This is a world class, premium deluxe holiday destination, made even better with five-star service from Navigare Yachting, the luxury crewed charter experts. We know exactly what it takes to deliver a peak holiday experience and prioritize exceeding your highest expectations for efficient, friendly, and exceptional service. We select our crews based on their proven mastery of every sailing and hospitality detail required, you'll be in the hands of the best skipper and hostess you can find. The Adriatic Sea is home waters for Navigare Yachting, our skippers know the ins and outs of every romantic hidden cove and secluded pristine beach. 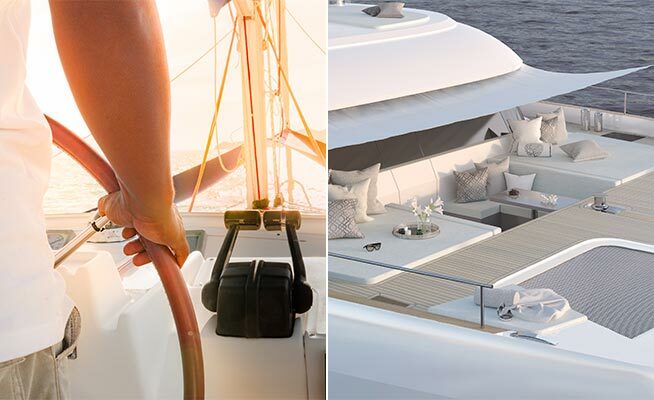 There is no deposit required and the boat insurance is included in all our packages – Navigare Yachting makes it easy to enjoy the pleasures of a premier luxury sailing vacation! The APA deposit is assessed on your invoice prior to departure and covers all standard expenses for your crewed yacht charter, including fuel, food & beverages, mooring fees, and other expenses not included in the charter fee. Managing these fees ahead of time is more convenient and allows you to enjoy your luxury crewed charter without fussing over logistics. Your skipper is is responsible for accounting all actual APA expenses during the charter. A fully itemized breakdown will be presented to you at the end of the charter. If the actual APA expenses during your crewed yacht charter Croatia vacation are less than the APA deposit, the difference is refunded to you at the conclusion of the charter. If the actual APA expenses are more than the APA deposit, the difference is due from you at the conclusion of the charter. Again, this is a convenience that allows each day of your luxury crewed charter to be spent in complete enjoyment and relaxation during your holiday, rather than setting aside time each day to review, manage, and pay for expenses that are variable, but unavoidable. Imagine breakfast at sea, the sun rising steadily amid warm breezes, gentle waves, and endless horizons of sky and sea. Swim with dolphins before lunch, then sun yourself on the deck as your boat dances over the waves to your next destination. A gourmet lunch is served to you in style, prepared to order. That's all the fuel you need for an early afternoon of exploring pristine white sand beaches, dramatic shores and cliffs, inland trails, and intriguing ruins from medieval times. Dinner can be aboard boat, or better yet visit an island getaway that seems far removed from the real world you left behind. Explore regional cuisines and vintages, find cozy beach side bars, or be entertained by local nightlife. 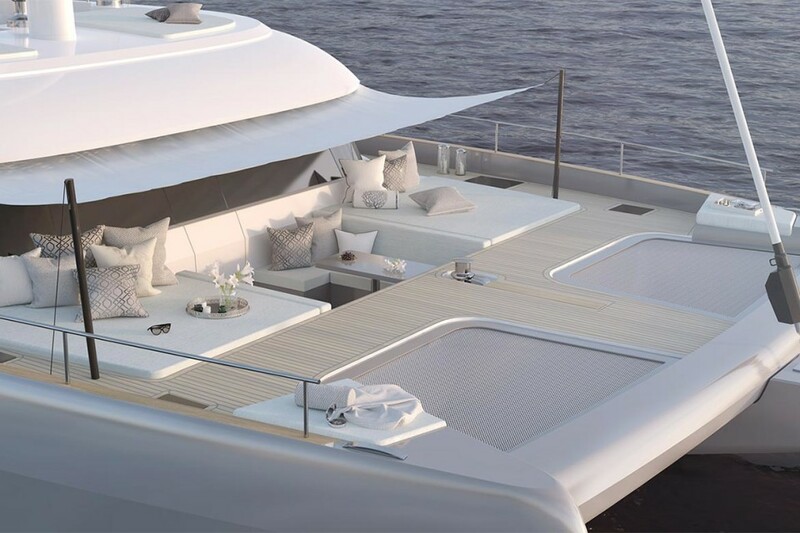 Everything you hope a luxury crewed yacht charter could be, Navigare Yachting brings it to you. We make it easy to create a holiday that is truly unforgettable! Trogir is one of the best-preserved medieval towns in Europe, situated between the cities of Split and Šibenik. Take some time to explore the narrow cobblestone streets and the town's wonderful little restaurants, local bars, and small boutiques. Dubrovnik is ideal for a one-way charter, as your starting or ending point. Located in the south of Croatia, this UNESCO World Heritage Site is home to beautiful marble streets, a scenic old harbor, and impressive churches. The ancient walls, built to protect the city from invasions, are still standing – walk in their shadow and breath the rich history of the Byzantine Empire. The Adriatic coast of Croatia is home to some of the world's most scenic islands, including: Hvar, Brač, Lastovo, Korčula, Šolta, Mljet, Šipan, and Vis. These islands are host to luxurious resorts, beautiful beaches, scenic harbors, and countless opportunities for adventure, outdoor exploration, dining & entertainment, or simply to experience the rich history of the region. 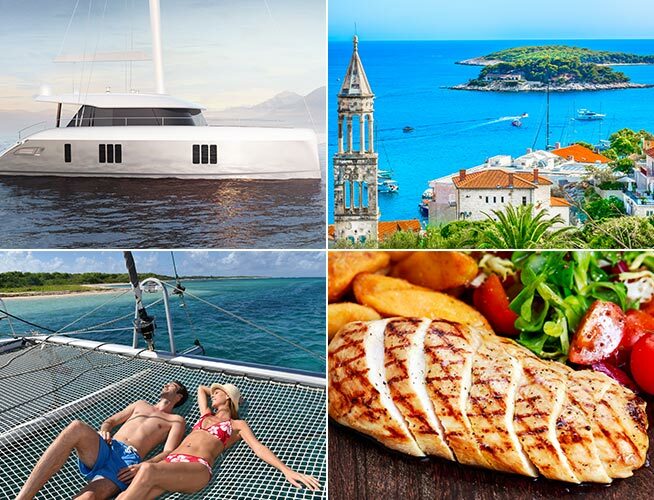 Visit our Bookings page to reserve your crewed yacht charter for Croatia and the Dalmatian Coast, aboard the Sunreef 50. Your premier deluxe sailing vacation is here, and Navigare Yachting can make it happen. ... grew up on the west coast of South Africa, just outside of Cape Town. He's spent most of the last decade in the yachting service industry, ensuring his guests enjoy fully his local experience and passion for sailing. 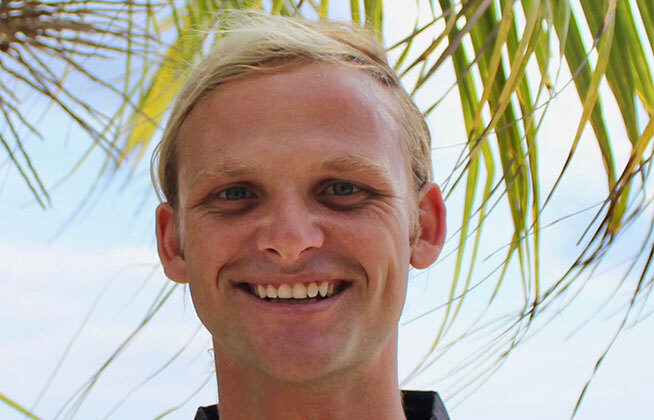 He's also a certified scuba diving instructor and loves getting into the water with guests to guide them on underwater adventures. ... has nearly a decade of experience in hospitality and service management. 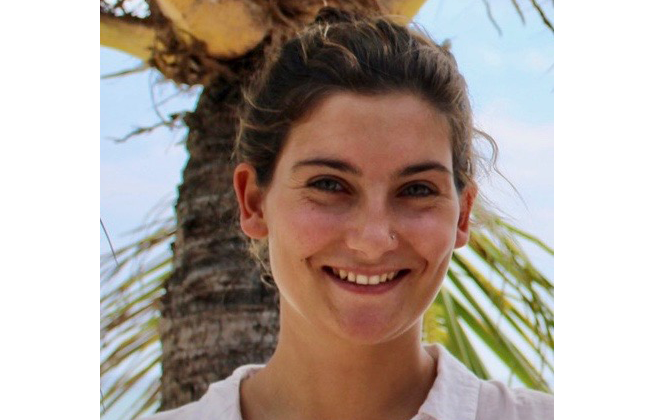 Originally from a small sailing town in Devon, England, Genevieve's life has always revolved around the ocean – she is an experienced sailor and scuba diving instructor, with time spent on and beneath the waves of the UK, Indonesia, and Adriatic coast. Jean Pierre and Genevieve are a wonderful team. 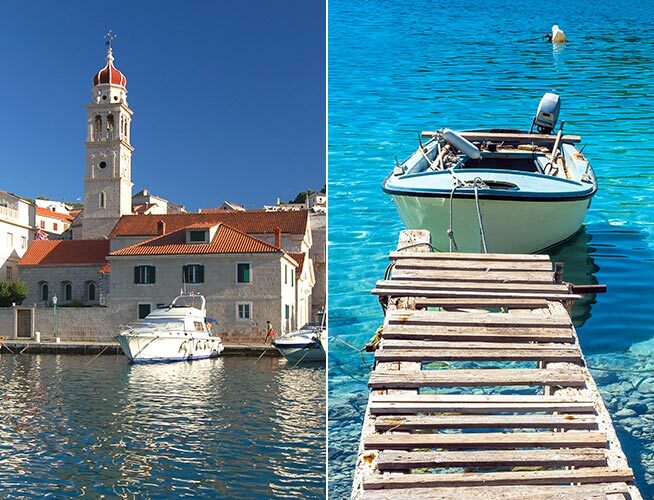 With them at the helm, you'll be conducted on the sailing holiday of a lifetime – the Dalmatian Coast will be your playground, a destination filled with gorgeous vistas, intriguing sights, and plentiful opportunities for relaxation.